Personalized Scenes of New England Calendars Custom Printed in Bulk. Promotional, Very Inexpensive. Best price in USA for New England Landscapes Calendars. "Early Bird" special! 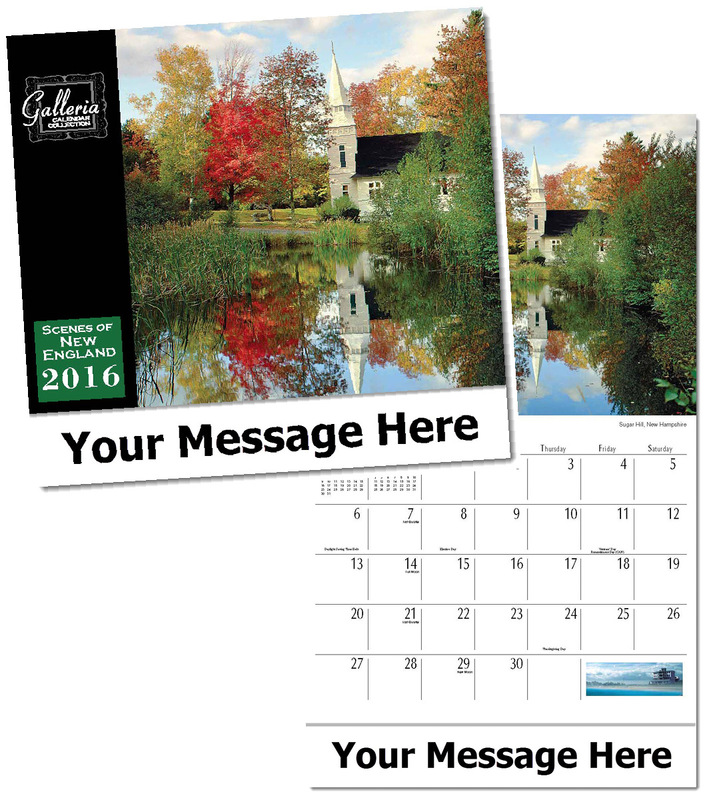 Bulk discount Scenes of New England calendars, personalized with your custom imprint . From quaint fishing villages to modern skylines, all the beauty of the New England states is captured in 13 unique photos. Includes all major US holidays. Lowest price in USA for wholesale promotional New England landscapes calendars. Our high quality, inexpensive New England Scenic calendars include both American and Canadian holidays. See our "Early Bird" deep discounts on our Price Table below. American clients pay no taxes. Free artwork design and free proofs!